It has been a few years since I’ve visited Disney’s Hollywood Studios so I thought I’d check out this currently front-heavy theme park and see how all the new (massive) projects are coming along. Toy Story Land, which should hopefully be opening within the next two years, is off to a good start. The third track for Midway Mania is open and keeping lines short(er). They’ve made great progress clearing the land and moving out all the debris so construction can begin soon. Star Wars Land (or the Star Wars Experience as it’s being referred to in-house) is not as far along. With much more to tear down on the Streets of America and surrounding areas, there will still be some time before we actually see vertical construction I’m afraid. That being said, it is surreal to be able to see clear across the Streets of America without facades in your way. Seeing Muppets from Writer’s Stop is interesting for sure. And speaking of The Muppets, the newly re-themed restaurant PizzeRizzo is coming along nicely and should open for guests within a month or two. This former location of Pizza Planet is receiving a makeover to create a more cohesive “land” for the Muppets called Muppets Courtyard. The only last remnants of a true backlot, Muppets Courtyard has a New York street feel, and the new PizzeRizzo facade really shows that. (If they could only do something about the unthemed soundstage smack in the middle of the area that currently houses a Muppet gift shop.) I was happy to see a little nod to Pizza Planet in the newly designed pizzeria. It says “Best Pizza on the Planet”, but PIZZA and PLANET are in big block letters. Beautiful way to remember the former location. New outdoor bathrooms are being added as well, aptly named Gonzo’s Royal Flush. 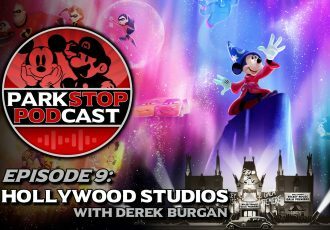 Check out the video plus many images below and stay tuned for more theme park updates! Newly themed PizzeRizzo, opening soon! This sign feels old, and yet it’s new! Disney magic! Clearly not near enough. It’ll be years before this is done! Pretty much the entire show is little vignettes where characters come out, pose for photos, and leave while effects, music, and video plays around them. No story, just full on nostalgia overload. Gertie thanks you for stopping by! That’s all for now. Check out my recent Avatarland update here too! That’s all for this update. 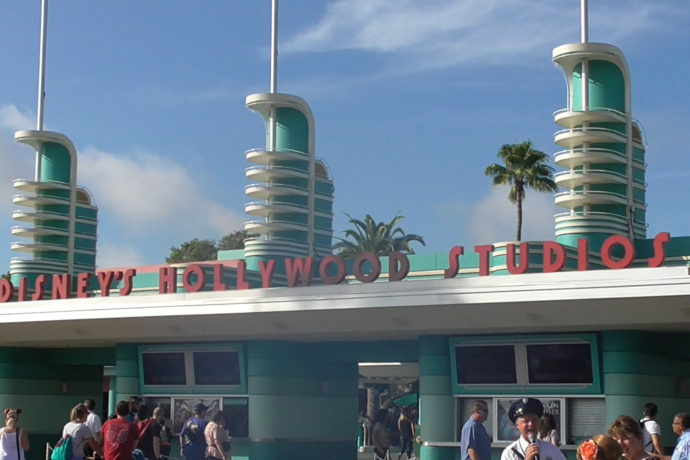 See all Hollywood Studios updates here and subscribe to the feed for more continual updates!